In my last blog post i showed you how to preview an image using a combination of JQuery/AJAX and controller code behind. This blog post i will show you how to take that a step further and take the HTML code and generate a nice HTML Helper. HTML Helpers are a nice way of re-using your code for future projects. This is the code that our JQuery, plays around with to preview an image. Not a lot of code, but wouldn’t be nice to encapsulate this within an Helper? Firstly what are helpers? Well all they are is code that returns HTML either as a string or Mvchtmlstring. 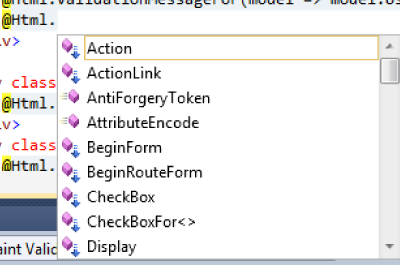 They are useful where you have a lot of conditional logic, plus they also allow you to pass through your model as LINQ Lambda Expression. Most of the common ones are scaffolded when you create a CRUD controller, that creates your Controller and View using the default T4 Templates. There are lots of them, check them out using your Razor view. So, to create my custom helpers, I’ve created a folder in my Project called Helpers and a static class ImageHelpers . Because we are creating a HTML Helper that works like the ones included in the framework, we need to create them using extension methods. So you will notice the first parameter is thisHtmlHelper<TModel> helper which will define this extension method as an extension of HtmlHelper. 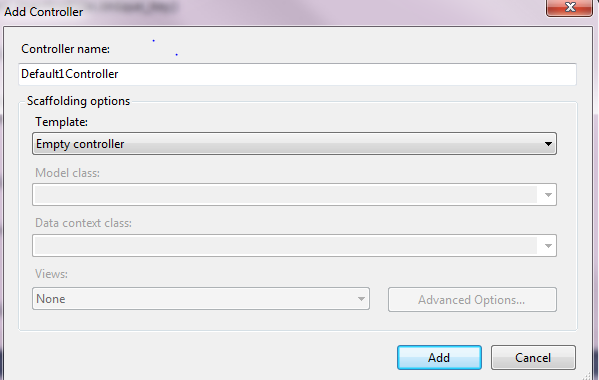 The rest of the parameters allow us to customise the method if needed. We also have created the method to allow us to pass the generic model and property types. This is useful so we can pass any of our models through, and later on we will add a new T4 template which includes varbinary in the templating. That is a different post though. ///Merge the two together into a p tag. So, we use three TagBuilder variables to to build an input, image and paragraph tags. This is a nifty little class that allows us to build HTML Elements, and some methods and properties to allow us to quickly to get our desired result, and we return a MvcHtmlString once we have built it. We set the default elements to be the names we use in our JQuery, so that the default logic is applied if we have our jquery-previewimage.js used. So there we have it, our own HTML Helper which we can re-use for future projects.